Brad Hurtado was right. He knew how books should get interest from the news media. You should heed his advice. Who, you may ask, is Brad Hurtado? His name recently and randomly popped into my head, even though it’s been at least 25 years since I last spoke to him. He used to be a television producer for The Maury Povich Show, and then the final four years of the iconic Phil Donahue Show. Hurtado came to Book Expo one year -- actually it was called the ABA or American Booksellers Association back then -- and did a terrific breakout session for those seeking to pitch producers of national talk shows. He came in to the room and emptied out a few bags of books and press kits, having the contents pile onto a desk, showing us just a sampling of what comes across his desk every day. Piece by piece, he showed us what he liked or didn’t like about what he was sent, lending valuable insight as to how he views pitches and filters things very quickly. That demonstration, circa 1990, would be just as relevant today. Producers and their assistants, often interns, make snap judgments on things just based on the first few words of a pitch letter or the appearance and topic of a book. In seconds, your fate is determined. I don’t know what Hurtado does these days. I saw online he is a freelance producer, code for unemployed I guess, but I think his honesty back then should reward him today. Authors and book publicists have to not think of themselves when contacting the media. They have to instead, think like the media: What do they see or think? Who else is bombarding them with competing messages? What pressures or goals do the media operate under? You don’t exist in a vacuum. Even if you tell a producer you have a story that could expose President Trump as a sexist, crook, liar, or fraud realize that you are still competing with those who can say worse things. No story angle is a guarantee for media coverage but to present yourself in certain ways can be a sure-fire way to get ignored or dismissed. Contacting the media is like applying for a job. Your resume can’t be full of misspellings. Your clothes can’t be dirty or casual. You must speak with confidence, clarity and conviction. Same goes for your press releases, clothes, and speaking style. Your presentation – in whatever form (in-person, mail, email, phone) must make a positive impression and be void of obvious mistakes or shortcomings. Just as a job candidate must be qualified for the job applied for, so should the author be seen as the best expert to talk about a particular subject. Hurtado said that the first few sentences of a press release or pitch would dictate interest or force a negative decision, so your most interesting point has to be in your headline, subject line, or opening paragraph. He also said the author has to have legit credentials. The media will quickly look to see if an author is remotely experienced, licensed, degreed, or in a position to know something of value. If not, don’t waste the media’s time. A fan of steak is not qualified to write about how to raise cows and a person who has been divorced three times probably isn’t the ideal relationship guru to pen a book. And the student is not going to be the teacher, nor is the lay person going to be the minister. Qualifications mean something. Lastly, Hurtado said authors and publicists should really know what the media outlet is all about. Don’t pitch topics that the show never covers. In other words, appeal to the editorial needs and demographic tendencies of the outlet’s listeners/readers/viewers. Should all authors invest in book marketing or book publicity? What is the payoff for authors to getting a million clicks? Are You Like John The Writer? There’s a feeling of dysfunction and loneliness that comes to those who meet John, a man in his 60’s who lives by himself and battles bi-polar disorder. But there’s also something about him that reminds writers about themselves. Though we may look at him with a feeling of sadness or empathy, we also feel uncomfortable around him. He’s a struggling poet who is eager for others to read his creations and provide adulation. We all need that, no matter how the rest of our life is going. We may be married, have kids, friends, good health and some money in the bank, but we still feel we need approval form others when it comes to our writings. That need for approbation never abates. We all hunger for glory. If not fame and fortune, then critical acclaim, awards, or just some words of praise and encouragement from a stranger will do. I’ve known John for at least a decade, maybe for most of the 15 years that I’ve come to a local Starbucks in Larchmont. He’s often found there, talking to anyone who will listen, or writing, or handing out single sheets copies of his poetry. He is consistently fighting mental demons, the kind that tug at the waking man and the ones that rage within his genes and undermine him. I see John’s both damaged and frail, and yet is he so different from so many of us? He wears his heart on his sleeve. What you see is what you get. No pretense, no masking how screwed up he is. But he’s a fighter, determined to win the battle with his disease, and convinced his moment to break through and have his writings read and appreciated will come. But he has no ace up his sleeve, no resources to tap into, and really no blueprint for finding his way through the writer’s maze. He may seem the exception, the odd man out, but I think he’s close to representing all of us, reminding us of our fears, incompetence, weaknesses, and failed pursuits. He’s a testament to the person who keeps moving forward in the swirling face of a storm. As a writer, we must recognize the John inside of us, and call upon ourselves to rise above our circumstances, family history, or limitations. We write with a purpose and passion, driven to convey not just a message to others but a meaning to our own lives. If my words can teach, inspire, enlighten or entertain you then I will have accomplished something. Isn’t that what we each want, some type of recognition of the impact we have upon another? You may never see John’s poetry anywhere, and if you did, you may not feel moved by it, but his pursuit of being heard has touched me and for that, he has accomplished something. First, you have to have a plan of action. You can’t just wing it or first start to promote a book once it’s published. To break through, you must craft a detailed PR plan – and stick to it. Second, you need a strong hook to get people immediately interested in you. Find a way to present yourself using the fewest amount of words while rallying around a very strong angle. Third, it helps to line up your ducks. No weak points. Have a great title and sub-title. Have a name endorser. Make the cover splashy with snappy back cover copy. 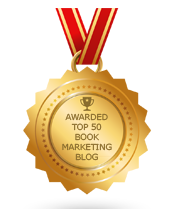 Your credentials should unquestionably qualify you to write your book. Fourth, the timing should be right. Don’t release a business book in July or a weight-loss book in November. Fifth, call in favors so that friends, family, and online connections can buy enough books in the right time frame, through the proper channels, to help get your book onto a best-seller list. Sixth, don’t ignore singles, doubles, and low-hanging fruit. All publicity matters and you need to build that media resume. Seventh, think big. Throw the bomb down the field. Swing for the fences. Take a risk and be willing to experiment and to invest in some crazy ideas. To make a leap forward, you’ll need to throw all that you have against the wall and see what sticks. Most pursuits will fail and fall short but you just need one big thing to succeed. In order to score big you have to identify your targets. Which media outlets and which people at those outlets do you gun for? What will the customized pitch look like? What can you offer and what could you possibly say that would turn their head? It can’t just be that you are an expert with a new book. It can’t just be that you can vaguely lend insight to news of the day. It can’t just be that you know your stuff and they should want to talk to you. No – you need to come across as having inside knowledge, pertinent information, a unique perspective, an amazing idea, a call for extreme action – with the personality to turn the interview into an interesting experience. To execute a breakthrough PR campaign for your book you’ll need to exhaustively work at it, combining gumption with substance, creativity with news, and calling on connections while praying for a lucky break. It starts with a plan, lots of activity, and a leap to the big ball. Act smart, but dream big. To not charge sales tax allows a business or individual to gain an advantage over others. The digital world already cuts overhead costs for them but the tax differential could be used as an added incentive for a shopper to go online. This hurts brick-and-mortar stores and these are the businesses that really serve the community – they buy real estate, pay real estate and sales taxes, hire locals, and create a physical presence that’s sorely needed for the human race. However, to tax online sales creates an undue burden of paper work and cost to the online business. Perhaps the process can be simplified and made less costly. Those who will get hit hardest are those who re-sell used stuff on ebay and CraigsList, those who act as third-party affiliates, and those who seek to earn some extra money on the side by selling their art, books, crafts, etc. The book industry should want all sales taxed. It does better when physical copies are purchased in bookstores. If online sales or ebook sales are rewarded or seem more appealing, the entire infrastructure of the book industry collapses. If one wants a separate argument about how our tax dollars are misappropriated or how Trump’s tax cuts for the uber rich hurt the poor, or whether all states should charge a sales or income tax are all debates for another time and place. There is a sales tax in most of this country, so what can be done to level the playing field between the digital and physical world? But I will say this, there should be a sales tax exemption on books. Most states don’t tax newspapers and magazines. Books should be no different. When the government can tax information and free speech, there becomes a control on the dissemination and flow of ideas, views, and facts. Tax a mop and a car and bag, not a book, where the product is words arranged in a certain order. The book industry deserves a tax break -- literally -- and there would be no better way than to drop the sales tax on books. But if a tax on sales is to be charged, do so whether the sale is made by computer, phone, in-person, at a store, or on Mars. Should any authors run for Congress? Can a book sell a lot of copies when it doesn’t exist in print? Can a book sell a ton of copies without retailing in a physical bookstore? Can a book be a best-seller without having a publisher? Can a book that got negative reviews or lacked sales become a movie? The answer to each of these questions, in 2018, is YES. Welcome to a new era in book publishing. So how does one promote in this environment, where there are new ways to sell books, promote them, and market an author’s brand? With all of this change in the media, retail and publishing industries, how does today’s author plot a course for success? Technology continually turns things upside down, to the point that books can be written with the help of a computer – as well as promoted, marketed, and sold. Soon, maybe robots will create and sell books on their own. Regardless of all the changes and challenges associated with selling and promoting a book today, let’s focus on the 10 foundational basics that you’ll need to rely on in order to get your book noticed. 1. Execute a timely, comprehensive, smart book publicity campaign. Where needed or affordable, enlist the help of a seasoned pro. 2. Cover the basics – have distribution to bookstores, libraries, and major retail chains. 3. Make your book available in as many formats as possible – print, e-book, audiobook. 4. Execute a grass roots campaign – start by directly reaching out locally to stores for signings, libraries for appearances, and organizations or schools for bulk buys. 5. Have multiple books, products or services to sell so that your efforts to promote or sell one thing can help you sell plenty of things. For instance, you can promote book X to a radio show or service Y to a TV show or speak at a convention about book Z. People will then check out your website or track down all of your books, products, and services as a result of exposure to your message about one of your offerings. 6. Give your book to loud-mouths – whether online or in-person. Find people with big followings and good networks. They can spread the word about your book. 7. Think BIG – what stunt or big play can you make that would instantly put you on the map? Is there an issue in the news that you can insert yourself into? Is there a big-name celebrity who can endorse your book? Is there a huge group that will agree to buy large numbers of copies? 8. Can you speak with confidence and conviction – but act out of a sense of urgency and desperation (without people seeing you as desperate)? In other words, act like this is the moment you live or die; that you have to see action taken that yields significant results. If you want something, you need to go after it and seize it. Take it! 9. Help yourself by helping others. Not only is it a moral quality to have - it can be a strategic advantage. Help a charity or non-profit, even donating books or sharing proceeds, provided the group can somehow help you get the word out about your book. 10. Offer your book as a prize or reward. For instance, give it to a school doing a fundraiser. Or offer it to parents of kids who come home with an A+ report card. Or give it to salespeople at companies when they reach a certain sales goals. Or reward every high school graduate at a school with a copy of your book. It will make the news and the recipients will talk about it to others. No matter how books are created, printed, sold or promoted, you can find a way to generate attention and increase sales. Instead of complaining how the media is shrinking or bookstores are closing, go out there and use your modern-day megaphone to champion you book. "She gave me hope and reminded me what I was made of at a time when I needed it most through both her song and her example. None of us get out of this life unscathed. We only get one time around, so we need to make the most of it. There's no better example on how to do this than Ms. Dolly Parton. As a result, I find it helpful when faced with a dilemma to ask the question, 'What Would Dolly Do?' and it makes me stand a little taller.'" I guess you could say I wrote the book for myself and realized that a lot of other people could learn from her too –without having to do all of the research and interpretation that I did. 2. What is it about and whom do you believe is your targeted reader? Dolly Parton has long been a feminist icon for many, although she would never refer to herself in those terms. She has been one of the most consistently creative and successful fixtures in the public consciousness over more than five decades. She grew up in a two room cabin in the Appalachian Mountains, one of twelve children and she watched her parents work their fingers to the bone. She became an international superstar, a successful businessperson and philanthropist, the epitome of the American Dream. Her unrelenting positivity and belief in everyone’s ability to overcome adversity through grit, faith, a strong work ethic and a big heart lifted her out of her circumstances and she lifted everyone else around her too. I wanted to know how she did it, what motivates her and how she keeps on doing it, at 72 years old. The book is biography, life lessons, and a guide to helping you embrace your own inner Dolly with some beauty tips, recipes, creative and spiritual advice thrown in. Obviously it is for Dolly fans –who span generations and demographics --but I think it goes well beyond that –to me, she is a strong female role model that we can all learn from, at any stage of life. 3. What do you hope will be the everlasting thoughts for readers who finish your book? What should remain with them long after putting it down? One of the great things about Dolly, in addition to her humor, sass, and incredible talent and drive, is her heart. She was bullied growing up and almost dropped out of school because of it. Her father never learned to read or write and she watched him suffer because of that. She was a dreamer, a bit of an outsider. And she took all of the things that were supposed to work against her and made them work for her. And then she gave it all back, not just through her songs, her movies, her joyful and upbeat presence but by becoming one of the world’s biggest literacy advocates with the Imagination Library and as a big believer and supporter of education. She is a huge reader and says that through reading you can self educate and its true. She is also accepting of all people. She chooses love over hate and that is something we definitely need more of in the world. 4. What advice or words of wisdom do you have for fellow writers? That’s a tough one! Keep your head in the clouds but your nose to the grindstone. Figure out your process –which usually means sitting down every day for a few hours and not getting discouraged. Some days you will produce a lot and be in a state of flow and other days nothing good is going to come out. Plan down time with yourself to read other books and to experience life and keep notes. Realize that if you want to make money from your writing you’re going to have to hustle and go out there and sell it. As they say in the music biz, you have to work the record. In the book biz you have to go out there and work the book. 5. What trends in the book world do you see and where do you think the book publishing industry is heading? The industry has changed so dramatically since I started in it in the 90s and it has become so much tougher. On the one hand publishers are under pressure to grow revenue and are anxious to acquire a lot of new projects. The competition is fierce and MBAs and business people –as opposed to creative people –are running the companies. This makes sense on the one hand but it puts a lot on the author to build their own platform and market themselves. And it makes it much tougher to “make” a book or have a surprise success. The conversation changing books –by political figures, thought leaders and groundbreaking experts and those with a huge platform are mainstream publishers’ focus. And self publishing or hybrid or indie publishers will be for everyone else. But there always seems to be this sense that the book industry is on the brink of doom and I just don’t think that’s the case. The media likes to cover it that way but I think it will continue to succeed. Different platforms and business models will evolve to accommodate the huge number of people self publishing or who want to be published but can’t find a literary agent or mainstream/big five publisher. There are opportunities there for those who can think outside of the box. 6. What great challenges did you have in writing your book? Writing is a solitary endeavor and there are moments of self-doubt, even after the book has been edited and accepted by the publisher. There is always that insecurity that what you have to say isn’t important or won’t be appreciated by people. In those moments I would re-read Dolly’s stories of overcoming adversity or words of wisdom, like “let your determination be stronger than your fear” and it made me stand a little taller. 7. If people can only buy one book this month, why should it be yours? This book is meant to inspire people through the example of Dolly Parton’s life and if you are having a rough time –and eventually we all do –reading this book will give you some perspective, some hope, some laughter and motivate you to make the most of yourself. 8. What lessons can we learn from Dolly Patton’s life? Don’t be afraid to dream big and then do the planning and hard work to make your dreams happen. Be professional. Find specific time to be creative and to have a spiritual life. Have good people in your life, be loving, make sure you find joy in the simple pleasures, work hard at being happy and take care of your own and give back to others. And always have a good sense of humor! Give Authors A Shot At Congress! What Is Your Lifetime Book PR Campaign Strategy? Are Writers Jealous Of Other Writers? Do Authors Need Book Insurance Or A New Plan? Have You Read The Forbes Book Of Quotations?